Behavioural problems in children: could they be health related? Can nutrition deficiency be linked to a child’s behaviour? Are smartphones ruining your posture? Inattention, forgetfulness, impulsive behaviour, restlessness, severe frustration, bed-wetting, and disruptive behaviour – do these behaviours ring a bell in relation to your child? If so, they may be suffering from ADD/ADHD which could result in a lack of focus at school and poor social skills. Recently the New York Times reported that attention-deficit/hyperactivity disorder (ADD/ADHD) is being diagnosed in nearly 1 in 5 high school-age boys in the United States and 11% of school-age children. That represents a 16% increase since 2007 and a 41% increase over the past decade. In Hong Kong and according to the Child Assessment Service, 6.1% of boys are diagnosed with ADD. Despite being one of the most commonly studied and diagnosed disorders in children and adolescents, the cause in most cases remains unclear. 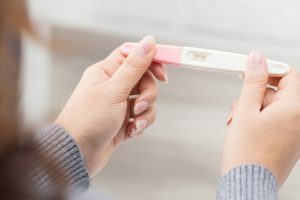 However, research scientists have indicated that it involves genetic and environmental factors affecting the brain’s chemical nerve transmitter levels. The traditional route to management – counselling and medication via drugs such as Ritalin – is commonly used but the long-term effects of this medication is not clear. 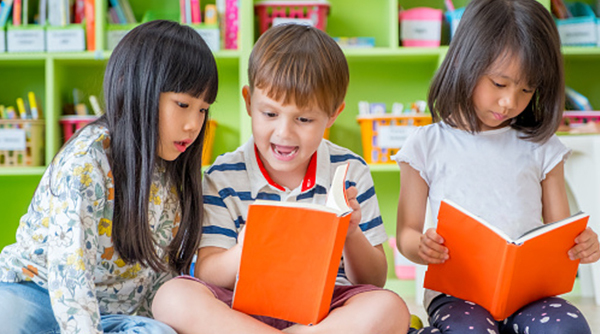 There are several contributing factors to learning and behavioural problems and many of these are nutrition and lifestyle related including food additives, unstable blood sugar levels, food intolerances, intestinal infections, nutritional deficiency and neurotoxins. It is possible that certain food additives may act as a trigger in those who are genetically predisposed. In 2007, UK’s Food Standards Agency financed a study that presented evidence that a mix of additives commonly found in children’s foods increases the mean level of hyperactivity. Sugar has long been suspected to be a culprit behind ADHD symptoms, however research has yet to collect conclusive evidence to validate the connection. Naturally, if the child shows a tired spell when hungry then maintaining a diet with regular meals helps. Breakfast is especially important for school going children. Around a third of Hong Kong children don’t eat breakfast before school. This results in children struggling to concentrate during the school daya hungry brain cannot concentrate. “Removing sugar, sodas, or white-flour junk food from the diet is often the only thing needed in this situation, along with supplements that help balance blood sugar,” recommends IMI’s Licensed Naturopathic Physician Dr Benita Perch (ND)”. In Natural Medicine, the gut is considered the cause of many health issues, not just those related to digestion. Food intolerances can cause a low-grade inflammation in the body, including the brain. The link between food sensitivities and behaviour is clear. A study in the Netherlands in 2002 revealed that 62% of children aged 3 to 7, when given an elimination diet, showed a 50% improvement in behaviour. Studies show that omega 3 fatty acids, zinc and magnesium appear to reduce ADHD-related symptoms in some children. Modern-style diets, loaded with refined sugars and processed chemicals, often provide a low-quality nutrition profile. When the body is deficient in the critical nutrients, it will exhibit both mental and physical symptoms. “Supplementation of magnesium and calcium daily, along with suitable omega-3 products is a good idea,” recommends Dr Perch. It’s no surprise that our lives are impacted by our environment which today, more than ever, is surrounded by synthetic chemicals which are completely foreign to human physiology. Data has shown that infants born nowadays have measurable amounts of up to 200 pollutants. This is especially relevant in Hong Kong given the acknowledged poor air quality. Research links ADHD with high heavy metal levels, especially lead, aluminium, cadmium and mercury. Just like adults, a child’s neurological function is affected by structural stress and tensions and can be supported by osteopathy. Retained birth stresses can have implications on subsequent development of the brain and body, as there is much growth and development yet to occur in the brain, which can be delayed or impaired by restriction within the skull. “Excessive crying, excessive wind, colic, feeding problems can be indications of retained stresses along with head banging or pulling at the hair,” explains one of IMI’s Osteopaths. Osteopathy is a gentle, painless yet highly efficient soft tissue and cranial bone treatment. It aims to enhance neurological functions and resolves the recuperative powers of the child’s body. An experienced Osteopath can provide evaluations and treatments from birth and throughout a child’s development for those with identified ADD/ADHD. At IMI, we are committed to delivering peace of mind with holistic and natural treatments. We recommend making a booking or enquiry first of all for individual advice by contacting reception on 2523 7121 or submit the enquiry e-form below. Our supplements are the purest and of an exceptional quality. Clinical grade & practitioner recommended, we’ve worked hard to source the best, so you don’t have to. Simply visit our Dispensary in person for tailored and individual advice, or buy directly from IMI supplements online. Schwarz A, Cohen S. “A.D.H.D. seen in 11% of US children as diagnoses rise”. The New York Times. March 13, 2013. Thapar A, Cooper M, Eyre O, Langley K (January 2013). “What have we learnt about the causes of ADHD?” J Child Psychol Psychiatry 54 (1): 3–16. McCann D, Barrett A, Cooper A, et al. (November 2007). “Food additives and hyperactive behaviour in 3-year-old and 8/9-year-old children in the community: a randomised, double-blinded, placebo-controlled trial”. Lancet 370 (9598): 1560–7. Boris.M, Francine.S. “Foods and additives are common causes of the attention deficit hyperactive disorder in children”. ANNALS of ALLERGY. 1994; 73: 462-466. Pelsser.L.M.J, et al. “A randomized controlled trail into the effects of food on ADHD”. Eur Child Aolesc Psychiartry. 2009; 18: 12-19. Pelsser LM, Buitelaar JK. “Favourable effects of an elimination diet on the behaviour of children with ADHD.” Ned Tijdschr Geneeskd. 2002;146:2543–2547. Shaw, William. “Increased urinary excretion of a 3-(3-hydroxyphenyl)-3-hydroxypropionic acid (HPHPA), an abnormal phenylalanine metabolite of Clostridia spp. in the gastrointestinal tract, in urine samples from patients with autism and schizophrenia”. Nutritional Neuroscience. 13. (2010): 135-43. N. Sinn, J. Bryan. “Effect of supplementation with polyunsaturated fatty acids and micronutrients on learning and behavior problems associated with child ADHD” In: J Dev Behav Pediatr 28, 2007, S. 82–91. Richardson AJ, Montgomery P (May 2005). “The Oxford-Durham study: a randomized, controlled trial of dietary supplementation with fatty acids in children with developmental coordination disorder”. Pediatrics 115 (5): 1360–6. Eubig, PA; Aguiar, A; Schantz, SL (Dec 2010). “Lead and PCBs as risk factors for attention deficit/hyperactivity disorder”. Environ Health Perspect 118 (12): 1654–67. 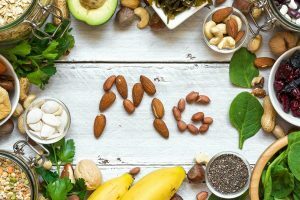 Why do you need magnesium? Why am I not pregnant yet?